Is the IRS Finally Ready to Regulate Nonprofit Political Activity? The New York Times is reporting that the IRS will issue new proposed regulations concerning political activity by nonprofit organizations, perhaps as soon as next month. They cite a notice issued by the IRS last week as the basis for their report. However, a search of the Office of Management and Budget’s rulemaking database shows a virtually identical notice was issued in Fall 2014, with a target date of March 2015. The IRS’s intent to issue a new notice of proposed rulemaking is consistent, though the timeframe seems to be in flux. The first attempt by the IRS to issue regulations on this subject happened in November 2013, and it ignited a firestorm of criticism from all sides of the nonprofits-in-politics debate. 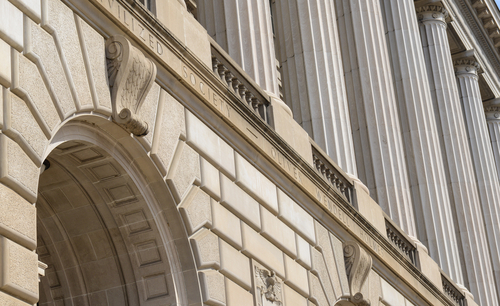 NPQ reported on the widespread opposition to the initial proposal and the record number of public comments received prior to the IRS withdrawing the proposed rules. The interest in regulating nonprofit political activity has been on the IRS radar since at least 2012, when Lois Lerner and Treasury officials discussed it as a possible “off-plan” initiative. IRS Commissioner John Koskinen has said that the IRS does not wish to influence, or have the appearance of attempting to influence, upcoming elections. So why revisit the issue now, when the 2016 presidential election is gearing up in both parties? Regardless of the details of the proposed regulations, recent history tells us there will be much to fight over. A Republican Congress can point fingers at the Obama administration. Partisans can trade charges of “too much money in politics” and “attempts to limit freedom of speech.” Beyond the political wrangling between Congress and the White House, the Supreme Court’s 2010 Citizens United ruling indicates favoring a light touch on regulation of political speech by corporations of all types. Community banks join advocacy groups in pushing back against Trump-era reforms to the Community Reinvestment Act.